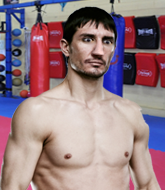 Kazimir has Remarkable boxing, Woeful Muay Thai, Strong wrestling and holds a blue belt in Brazilian Jiu Jitsu. Evgeni was born in Pargolovo, St. Petersburg, Russia. He was bullied when he was younger. At 14 years old, he finally had enough and started lifting weights to put on muscle and, he hoped, to help him deal with these bullies. Kazimir only took up martial arts at the age of 16 in Wrestling and Boxing. He is training at NACF KT Pitbull Academy in London. 2019-02-23- Kazimir Evgeni celebrated his birthday - 41 today! 2018-11-30- Kazimir Evgeni celebrated his birthday - 40 today! 2018-09-06- Kazimir Evgeni celebrated his birthday - 39 today! 2018-06-13- Kazimir Evgeni celebrated his birthday - 38 today! 2018-03-20- Kazimir Evgeni celebrated his birthday - 37 today! 2017-12-25- Kazimir Evgeni celebrated his birthday - 36 today! 2017-10-01- Kazimir Evgeni celebrated his birthday - 35 today! 2017-07-08- Kazimir Evgeni celebrated his birthday - 34 today! 2017-04-14- Kazimir Evgeni celebrated his birthday - 33 today! 2017-01-19- Kazimir Evgeni celebrated his birthday - 32 today!